People say that there are two certainties in life, and one is a constant headache that we all must deal with. Tax rates drastically vary depending on where you live. In many cases, the tax implications in North Carolina are beneficial to aspiring homeowners. Having lower tax rates is just one of the many reasons why Brunswick Forest is the optimal choice for people looking to relocate. When you combine mild weather and a coastal lifestyle, moving to the Southeast becomes an easy choice. 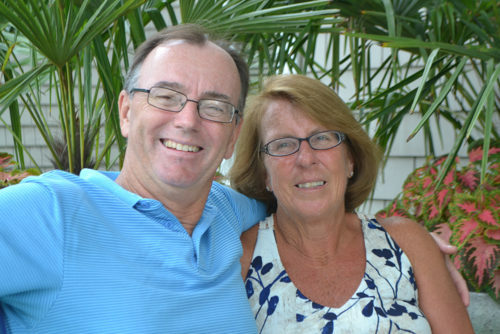 A few years ago, the area captivated Gerry and Jane Sunderland, who are originally from Worcester, MA. Having an accomplished career as a nurse, Jane felt it was time to wind things down and began thinking about retirement. Gerry was still employed at the time, but his job flexibility made moving to a different state easier. They already had a second home in Vermont but were looking for something in a warmer climate near the ocean. Downsizing and being near a city were also important for them. It did not take long for Gerry and Jane to realize Brunswick Forest was the master-planned community for them! They successfully met their location desires and were able to downsize. Over time, the happy homeowners decided a little upgrade was in order. They envisioned a sun room and a fireplace for entertaining guests and were able to bring their vision to life. The Sunderlands have gained much more than prime living conditions from their move to Brunswick Forest. They’ve also gained valuable friends. Jane quickly became a golf-aholic and they both continue to enjoy plenty of the other amenities such as pickleball, tennis, biking, and the walking trails. The Sunderlands are finding life here to be what they’ve always wanted. Not to mention, the prime location near Wilmington gives them access to shows at Thalian Hall and the Wilson Center. When you’re looking to retire or settle in a lifelong paradise, it is important to factor in how tax rates can affect you. The cost of living in the Northeast is often a burden and cause for stress. Though the Leland and Wilmington areas have grown quite a bit over the years, our taxes and cost of living are far less than what homeowners in the Northeast are used to. Gerry and Jane are living testaments to this phenomenon. They reported that their taxes are now at least a third of what they were before moving to Brunswick Forest. Why pay more when you can live better for less? Brunswick Forest prides itself in beautiful homes and amenity-rich living, all in a location with historically low tax rates. It’s this standard of living that drives so many couples like Gerry and Jane Sunderland to find their way to Brunswick Forest. There is always room for more, so come and see for yourself, how fine living doesn’t have to come at an astronomical cost.